What if I told you there was a marketing tool out there working every single day on your behalf to bring you new email subscribers? What if I told you that once you set it up all you have to do is promote it and it will automatically work for you? Well I have good news for you. That marketing tool is called a landing page. A landing page is a single page on your website. It is a distraction free zone without a navigation menu, sidebar or footer. The goal is to convert your website visitor into an email lead. Landing pages are my favorite marketing tool. They work for me every day to generate email subscribers and connections for my blog. They are what helped me to grow my email list to over 800 subscribers in just a few short months. The reasons above are just a couple of my favorite features about landing pages. 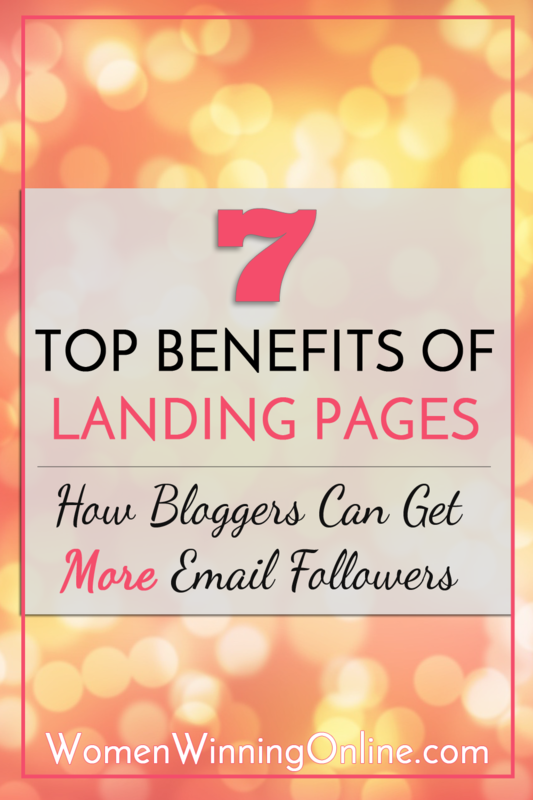 Here are seven more that will show you why as a blogger a landing page is a must to grow your email list! Your landing page works for you even when you aren’t working on your blog. That is the beauty of a landing page! You set it up for one niche and advertise it. Then people will come to your website to download your freebie opt-in offer. This all happens automatically without any extra work on your part. It happens while you are working on blog posts, spending time with your family, and even sleeping. It is not unusual for me to wake up to 10 new subscribers that signed up for my opt-in offer while I was sleeping. It feels so rewarding when that happens! Your landing page is an ongoing source of email subscribers for you. These email subscribers can and do turning into paying clients. When you create a quality landing page you will generate leads from it all the time. If you want more potential clients, do more advertising for your landing page. If you have more clients than you can handle dial back your advertising. A landing page isn’t something you put up once and only get subscribers from it one time. It is your prospect machine working in the background to bring you clients every single day. Your landing pages give you instant credibility with your website visitor. When you build a landing page you base it on solving one problem for one niche. Your website visitor will notice this and you will earn their trust up front. They will see you as a trusted resource that understands their problems. This gives you credibility and is the beginning of a relationship with your new email subscriber. On your landing page you are the boss of your visitor. You are in charge of where they go on your website. They aren’t poking around on your website looking for information and then clicking away. Instead the website visitor is following a clear path you laid out for them. They see your headline addressing their problem. They realize your opt-in offer is the exact solution to their problem. They give you their email address to get the solution delivered to their email. You have now told your website visitor exactly what you want them to do. You have led the website visitor down the path to give you their email address. You are the boss of that lead. Your landing page will convert more visitors into leads than any other page on your website. You may worry that not giving a website visitor access to your entire blog that you will lose the lead. The exact opposite is true! When a visitor is looks around on your blog there is a good chance they will get information overload. Or worse they won’t find any information that relates to their situation. At that point they will leave your website without bothering to give your their email address. This is a wasted opportunity for you. A landing page does the exact opposite for your website visitor. When they visit your landing page they can quickly see that your solution is for them. That you are catering to their needs. The website visitor won’t be on information overload and will see you as a solution to their problem. They will gladly give you their email address at that point. Your landing page will convert more website visitors into real leads. More than your home page, about page or contact pages combined. As a blogger you are always looking for ways to improve your SEO. An intrinsic benefit of landing pages is they give your blog an SEO boost. Landing pages improve your SEO rank with Google, Bing, Yahoo and the other search engines. The search engines’ goal is to give relevant content in their search results. They favor organic content that is not used on other websites. Landing pages do just that. Adding landing pages to your site with good content will increase your search engine ranking. I have a few of my landing pages that put me on the first page of Google. Isn’t that something we all want so bad?! Landing pages give you more opportunities that you may not get through your traditional website. Landing pages show that you are an expert in one niche area. By showcasing your expertise you could be asked to speak at local or even national events. You could be asked to present at local groups that need your expertise. You could even get picked up by local media and asked for quotes in their stories. Landing pages provide extra opportunities for you because you are standing out from the crowd. You are showing your expertise in your niche and doing it better than your competitors. You will get recognized for that! Landing pages are a gold mine of opportunities for your blog. They take your normal website and kick it up a notch. Landing pages work for you and show that you are a trusted adviser for your website visitors. It is a way to stand apart from others in your niche who aren’t offering something of value for your niche. Give your website visitors what they want with a great opt-in offer and a dedicated landing page. Do this and you will have more email subscribers than you can handle! Are you getting email subscribers from your blog? Have you tried landing pages and seen success? Or are landing pages a new concept for you? Please tell me about your experiences in the comments below! Very informative, helpful, and insightful post, Jen! I love what you said about taking your visitors down a clear path towards the exact solution to their problem. Landing pages aren’t a new concept for me, but they are one of the many strategies I’ve read about but have yet to implement because I was information overload about which was the best strategy. Your post has helped me decide that I definitely want to put the time and effort into making landing pages to establish myself as an expert in different niche areas related to my main niche. Where do you advertise your landing pages? Which place is most successful for you? Thank you so much Andrea for your kind words! Landing pages have been a huge success for me and helped me to build my email list. 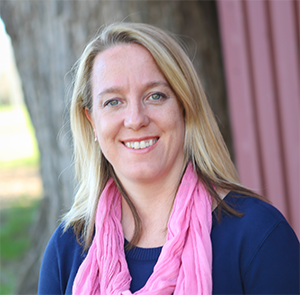 I think it is so easy to get overwhelmed with all the marketing ideas that you can do. In fact I have a post coming up about that very issue! As for my landing pages I advertise through guest posting which has been big for me and Facebook ads. The more you know your niche the better you can target your Facebook ads to get really good results. Great information Jennifer! Do you use a landing page creator or design your own?